The author presented a lecture at a National Convention of professional String Teachers on this subject! The secrets of how a professional performer uses his bow hand have never been truly broken down and illustrated in this depth, with this simplicity before. Yet a stiff wrist on the bow hand will completely destroy the ability to let the music inside one flow out. 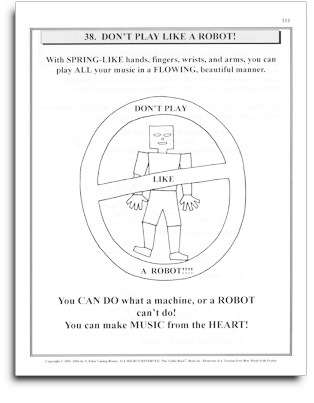 This book shows how to free up ones playing, to be able to express any piece with fuller feeling! There are a number of advanced physics concepts that the student will learn. Don't worry, they are explained and illustrated so simply anyone can follow them. · What exactly are the "System of SPRINGS" as referred to in Galamian's Principles of Violin Playing and Teaching? 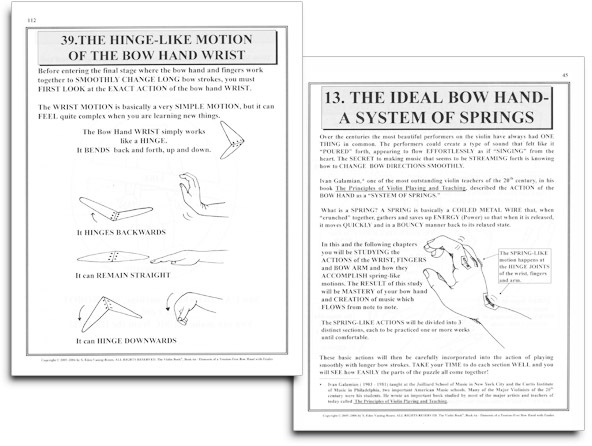 Once the student is presented with the full theory of the basics of bow arm springs, the student is walked, step-by-step, through a total inspection of all the individual actions of the wrist, arm and fingers for both the up and down bow strokes. Couple this with a step-by-step analysis of smooth bow changes, and drill each action, and the student will obtain remarkable results! 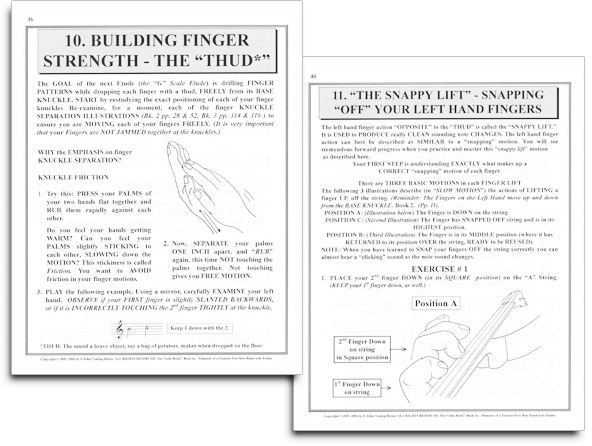 What about the Science of the Left Hand? Even more spectacular, the scientific principles of the left hand fingers, wrist and arm are, too, fully explored, highly illustrated, and generously drilled in this book. Sight Reading is the (learned) skill of being able to take a piece of music one has never seen before and being able to play it perfectly first time through. To do this the student must be able to see the notes coming up in advance, and figure out how to play them in correct rhythm and tempo. This is a learned skill, broken down into three parts, and you'll need to know and master these to be expert at sight reading. Any violinist, (any musician actually), values these skills as very, very, very worth learning! You'll learn what are the secrets of "Cueing", improve your ability to start pieces with others with finesse and confidence, as well as communicate what you are doing while performing. This is a most under-taught, yet crucially important skill. Performances with a group is a breeze when you know how to cue correctly! The icing on the cake is the huge amount of exercises provided to drill all the skills learned in this book. A student needs to become highly proficient in all these skills to be prepared for the up coming, more advanced songs. A student at the Book 6a level learns the value of discipline, working and drilling carefully all these techniques. Students build self esteme as they discover exciting new adventures in the musical world opening up to them as they conquer higher levels of ability. They have learned how to problem solve with music. Book 6a is a masterpiece that even concretizing professional musicians discover answers to questions they have been searching for, for years. The key is it is step-by-step; it's simple, it's thorough, and it's understandable by everyone! The Violin is the most emotional of all instruments. The incredible range of feeling it is capable of expressing is brought to life by the student at this point. After mastering this book, your student is playing with life, emotion and energy that will guide and fulfill them for years to come. Now you have a young musician who has the capacity to bring his music alive, play with rich sound, and has a wonderful array of pieces to perform, in all styles. 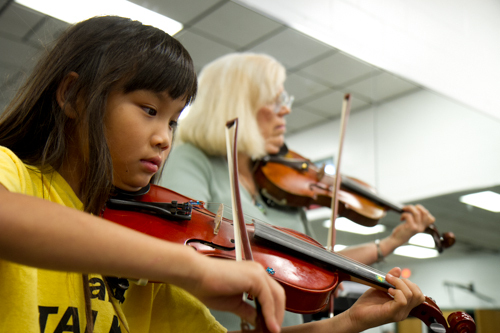 The student can share music with others, can help others gain the same skills in learning to play a violin that he has, because he knows, (by following the steps of the system), he can teach! 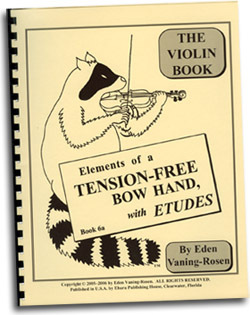 He understands the violin basics, the science of sound, thoroughly. He is capable of making music an important part of his own life, and can enhance the lives of others around him with his music.